After a long day of work, you need a plush mattress that can support your body while you sleep. Besides sleeping enough hours, the key to great slumber is a quality mattress. The Sea Glass Plush Collection from American Freight Furniture and Mattress features a plush build that you’ll love to sink into night after night. Layer 1: Dualcool® Technology Fiber—This layer is enhanced with silver fibers that keep the mattress cool and dry. Silver has natural moisture-wicking properties which makes it ideal for the top layer. Layer 2: Aircool® Foam—Increases airflow throughout the mattress to keep you cool and comfortable. This layer helps minimize moisture buildup if you sweat while you sleep. Layer 3: Geltouch® Foam—Gel and memory foam are a match made in heaven in this layer. The gel keeps your body cool and the memory foam contours to your body’s unique shape. Layer 4: Aircool® Gel Memory Foam—This layer offers maximum support and comfort because the dense foam layer supports your body while offering a cooling relief. Layer 5: Beautyrest® Pocketed Coils—The core of the mattress includes motion separation technology through pocketed coils. These coils move individually so you can move without disrupting your partner’s sleep. This mattress comes with a 10-year limited manufacturer warranty. Now that you know about the materials inside this mattress, you can decide if it’s a good fit for your needs. You can take home the Sea Glass Plush Collection in a Twin, Full, Queen, or King-sized mattress set. To find out what mattress size is best for your needs, check out our Mattress Size Chart & Bed Dimensions blog. Mattresses come in a variety of different firmness styles. Check out our How to Choose a Mattress blog to learn about the differences between firm and plush. You would prefer a plush mattress if you enjoy the feeling of sinking into a mattress and feeling it contour to your body’s shape. Cushy, soft, and sinkable are a few words to look for when shopping for a plush mattress. For firm mattresses, look for words like solid or dense. 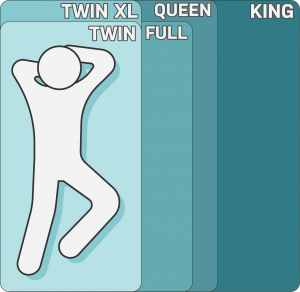 You should choose a plush mattress if you’re a side sleeper or if you don’t experience discomfort on plush mattresses. If your current mattress is worn out, be sure to test out new plush mattresses to make sure that’s the firmest you’d like your mattress to be. Otherwise, you might want to opt for a firmer choice and break it in over time. The best way to figure out of a plush mattress is right for you is to visit a furniture and mattress store! Stop by your local American Freight Furniture and Mattress to test out all our mattresses for yourself. Be sure to check out the Sea Glass Plush Collection while you’re there. Did you know American Freight Furniture and Mattress keeps Twin mattresses, Full mattresses, Queen mattresses, and King mattresses on-site? We offer a warehouse and showroom all in one location so you can take home your brand-new Sea Glass Plush Collection mattress today and sleep on it tonight. 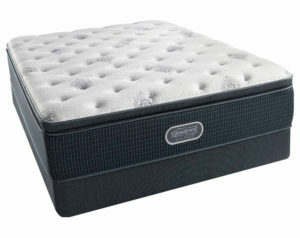 We also offer same-day delivery for all in-stock mattresses and furniture. Click here to learn more. To find a store near you, visit our store search page. We have more than 160 stores nationwide! Are You Subscribed to the Blog? 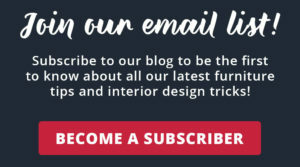 Don’t miss out on all the exclusive offers you can receive on The Official Blog of American Freight Furniture and Mattress. 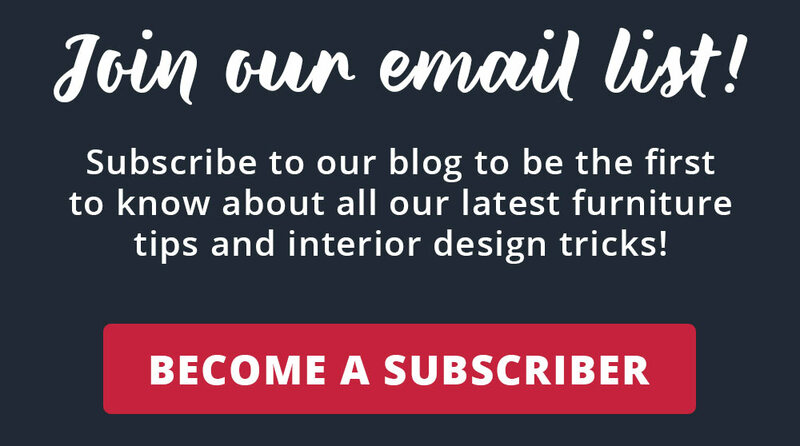 We send emails twice per month to keep you informed on all the latest interior design and furniture content. It’s free to join our email list! Click here or the image below to sign up.